At age 72, after 50 years of making comics, Jacques Tardi is more than worthy of his own exhibition at the Cartoonmuseum. 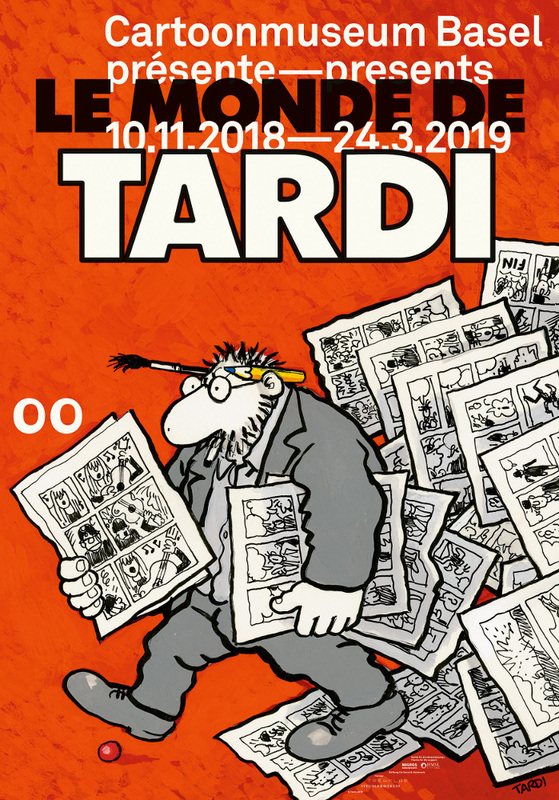 I can’t say how this Tardi exhibition, which ends on March 24, relates to the one at the 2015 Fumetto festival in Lucerne. Anyway, it’s always worth reminding people through such a show that the author of the WWI comics for which he is perhaps best known, C’était la guerre des tranchées and Putain de guerre, is the same who created the Belle Époque mystery series Adèle Blanc-Sec in the seventies, and who also authored the Nestor Burma detective comics, as well as the historical comic Le Cri du peuple in the early 2000s, and, most recently, the WWII comic Stalag II B, to name but a few. 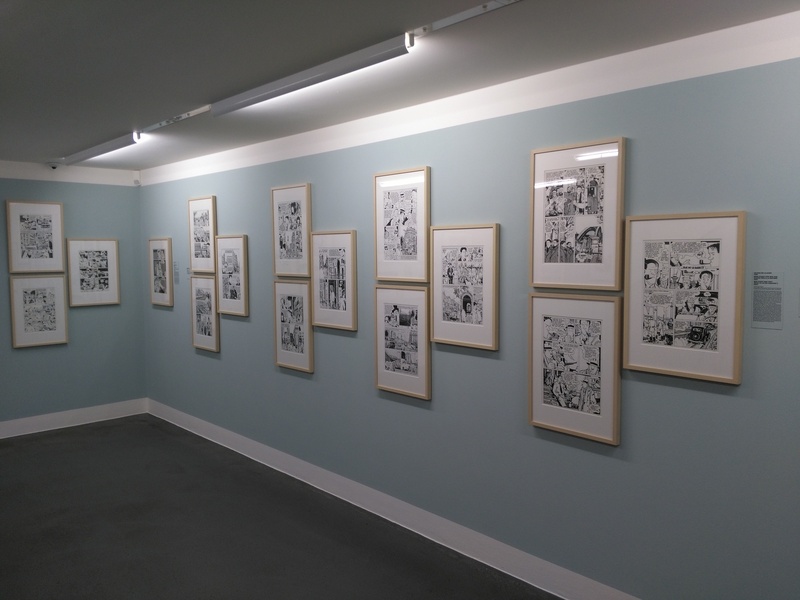 A dazzling array of comics, and the Basel exhibition covers them all. The primary medium of presentation are framed original drawings, of which there are apparently more than 200 on display. Here, however, it becomes obvious why the exhibition is titled “Le Monde de Tardi” (and not “Die Welt des Tardi”): while the commentary texts on the walls are in German, no translation is provided for the French speech balloon texts. Which is a pity, given that Tardi is not only a masterly draughtsman but also a witty wordsmith. At least this aspect of Tardi can be appreciated in the library room of the museum which is well stocked with German translated editions of many of his albums. In the library one can also watch a film about Tardi in – again – French only: Tardi en noir et blanc, also available on YouTube with German audio. My impression was that the previous exhibition I had seen at the Cartoonmuseum, Joe Sacco – Comics Journalist, had done a slightly better job at telling something about the artist himself and his working process instead of just the finished works. But this is a common shortcoming in comic exhibitions. Le Monde de Tardi must be a highly enjoyable exhibition if you’re fluent in both French and German, but I doubt you get much out of it if you speak neither.